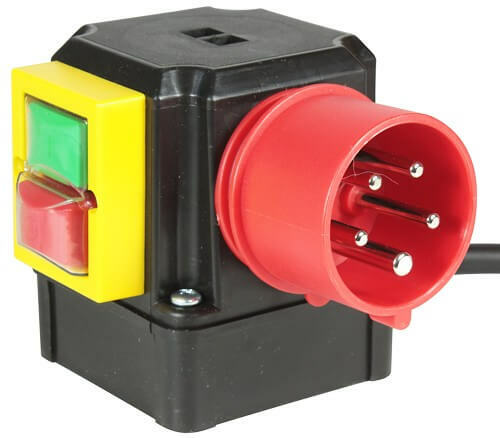 AC switch-plug combination for circular saws, planing machines, shredders or other machines and motors, which after power failure and power recovery are not allowed to turn back on. The neutral conductor is not connected. 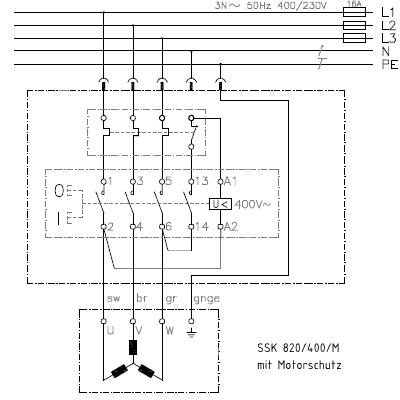 Not suitable for motors in delta connection, which for example need a voltage of 230V in the terminal box for a electromechanical brake. If needed a brake can be tapped between a phase and a star point 230V for motors in star connection. 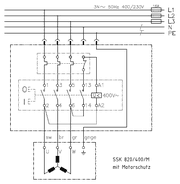 The motor protection has to be selected according to the nominal current of the motor (+ ca. 10%). 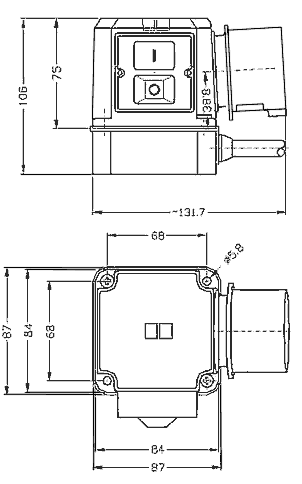 A connection for a thermal contact is not provided, because the motor is better protected with the overcurrent protection. The switch is screwed on the housing base. 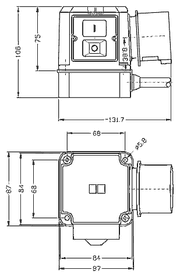 Grid dimension of the screws: 68 x 68 mm. The cable outlet is on the side of the housing base, by factory setting on the opposite side of the keypad. by rotating the base, the cable can be routed to all 4 sides.